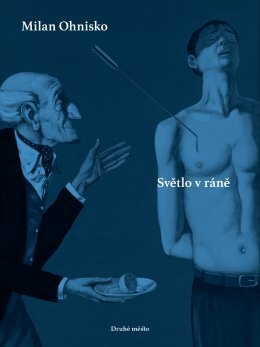 The crowning 10th collection by this leading Czech poet builds an entire life, the entire world, on a fleeting moment: a world which is fascinatingly and grotesquely off-kilter. Milan Ohnisko reaches for eternity with his unique sense of fleeting detail and his essential observations. He is able to view the things which diminish in life and with life as both rarities and simple oversights; with eyes which are simultaneously gentle and stern. His memories of youth and childhood are sensuously full, as well as full of mystery. Through light and darkness, life never ceases to enchant, amaze, entertain and tire. Moreover, the things which are commonplace and everyday are usually the most miraculous. That which is terrifying most resembles farce. In this existential collection, Ohnisko demonstrates that he is able to deal with all these facets in a masterly fashion. Milan Ohnisko (b. 1965), poet, publishing and magazine editor and a cultural journalist. He left grammar school prematurely in 1981, and then proceeded to do the same thing from the secondary school of library studies. He subsequently held various jobs. After the revolution in 1989, he operated his own publishing house and bookshop in Brno. He now works as the deputy to the editor-in-chief of the literary biweekly Tvar. He published his first poems in the 1980s in samizdat. He is the author of ten collections of poems and the co-author of Býkárna (Hogwash, 2006), a book of poetry written with Michal Šanda and Ivan Wernisch. An extensive anthology of his poetic works from 1985 to 2012 has been published under the title Oh! (2012).